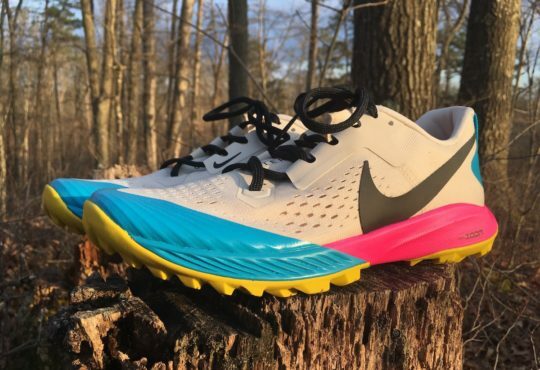 Though I don’t anticipate the Brooks Bedlam ($149.99) to create chaos in the minds of longtime Brooks stability-shoe fans, this new model may cause them to reconsider their beloved trainers. 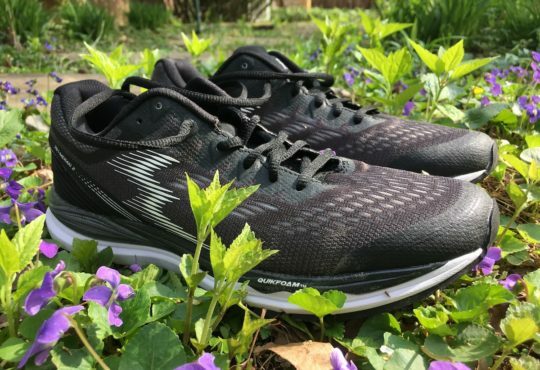 Personally, I haven’t run in a shoe as stable as the Bedlam for some time, but according to Brooks, the Bedlam is as stable as the Adrenaline without technologies like the—wait for it—Progressive Diagonal Rollbar. Intriguing, right? Here are my thoughts after 40+ miles on the road. I initially had my doubts about these shoes based strictly on appearance. 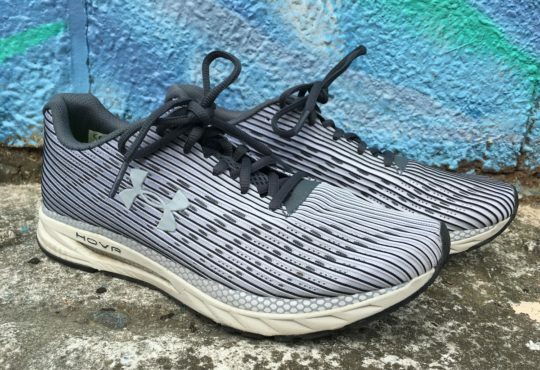 As we all know, running shoes are pulling double-duty more these days (i.e. exercise and lifestyle). The Bedlam succeeds on both fronts. 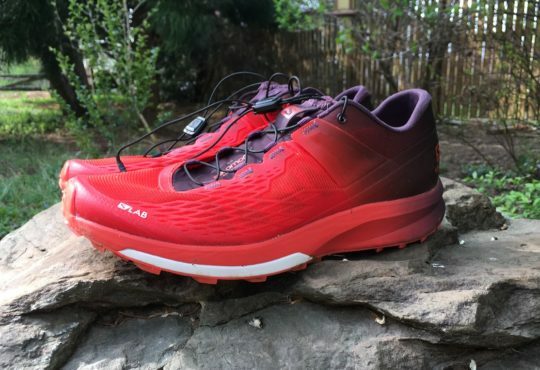 If you are looking for a comfortable walking shoe with a stable platform, or if other structured (stable) shoes are not delivering the wow factor (comfort) you hoped for, have a closer look at the Bedlam. The FitKnit upper is superb, and between the two men’s colors currently available, I’d opt for the gray and white pattern every time. 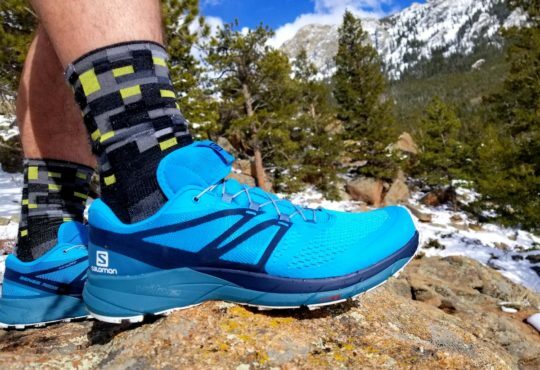 I’ve referenced the Bedlam alongside the Adrenaline from a stability standpoint, but it shares a few characteristics with the popular Levitate 2. 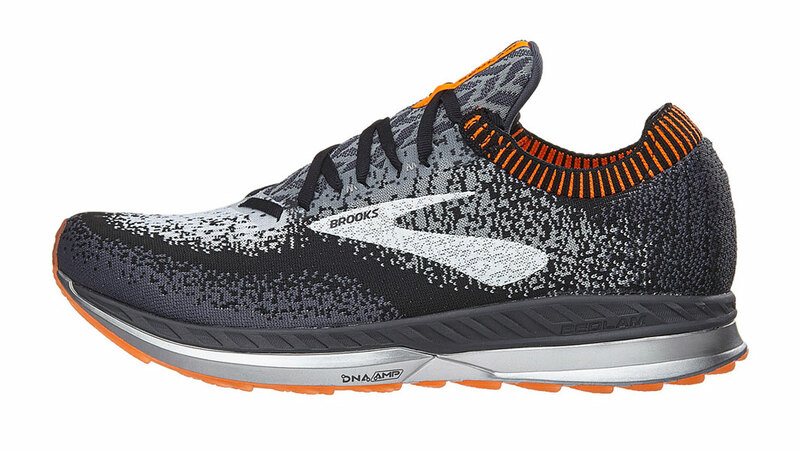 The first is DNA AMP, the responsive midsole compound that delivers the most energy return in the Brooks line. 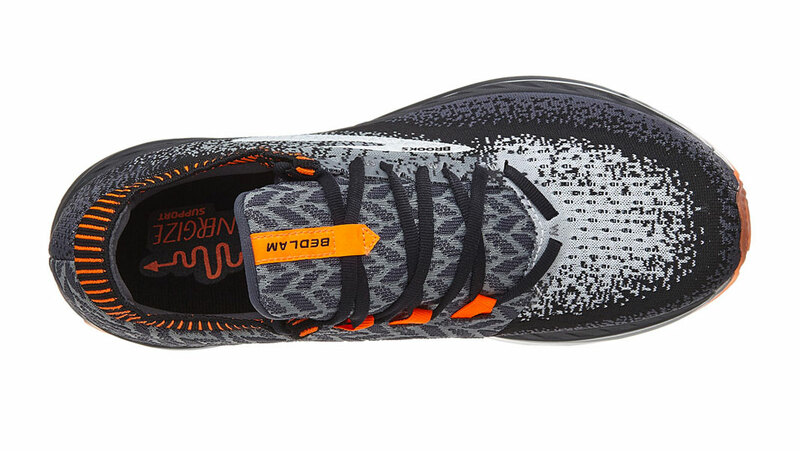 A second shared similarity with the Levitate is the outsole. The configurations (flex grooves) are slightly different, but both models utilize a chevron arrangement to facilitate a smooth transition through the gait cycle. Finally, the Bedlam and Levitate 2 incorporate the same stack height (18 millimeters in the forefoot and 26 millimeters in the heel) for a likable 8-millimeter drop. Frankly, I figured the Bedlam might be close to 12 ounces between DNA AMP and the GuideRails for added stability, but it weighs only a tenth of an ounce more than the Levitate 2 (11.2 ounces in a men’s nine). A tenth of an ounce. The Bedlam ride, as I said of the original Levitate, didn’t wow during easy runs. I love the smooth transitions, but the heavier weight, along with the lingering Georgia heat, impacted my form. That said, stability is stellar, though I do have an addendum to this remark below in the critique section. Finally, I’ve been vocal about my dislike for heel tabs as they tend to create sliding and a higher risk for hot spots and blisters, but the suede tab inside the Bedlam kept my feet secure. In fact, I had to tug on the shoes after a run to release them at the heel. Is suede even more effective when it’s lined with sweat? Maybe so. The Bedlam GuideRails provide a stable platform, but I still noticed some lateral movement inside the shoes during a few runs. I attribute this to the hammock saddle that Brooks employed. I like the simplicity of the lacing configuration, but I had to cinch the laces hard to secure the midfoot. I would revisit this when the Bedlam updates in 2019. Also, the heel collar is a little too high for my liking, which is why I used longer socks to avoid any possibility of rubbing around the Achilles tendon. 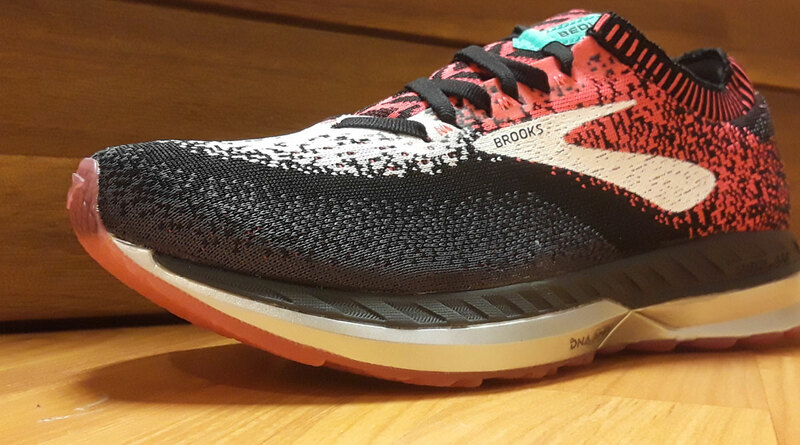 Kudos to Brooks for introducing a running shoe that delivers strong stability without the inclusion of a medial post. 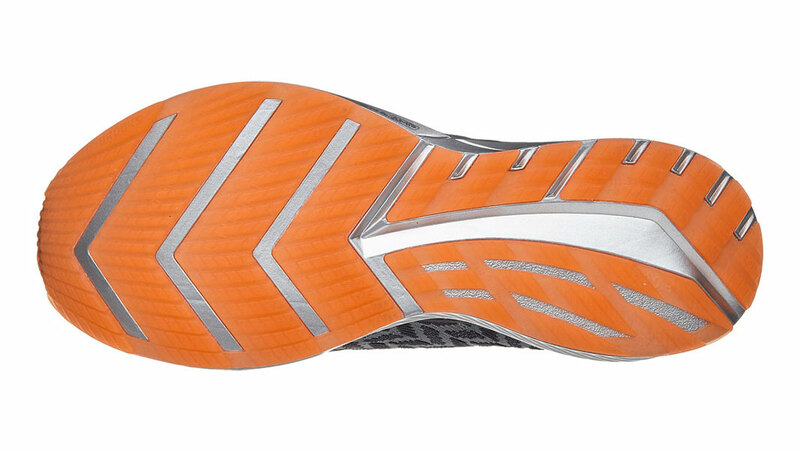 Brooks will be completely eliminating medial posts in the next Ravenna and Adrenaline updates. 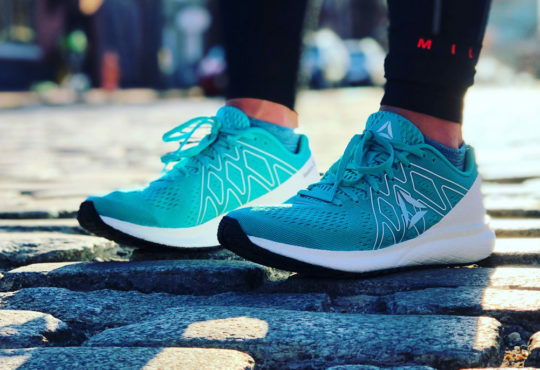 GuideRails will be the preferred method henceforth, along with more use of DNA LOFT, another new midsole compound currently in the Ghost 11 and Glycerin 16. Though I’m unlikely to run in the Bedlam anymore, it will surely draw some praise from people I cross paths with about the design. It’s sharp. Really sharp. The gray one, in case you forgot.